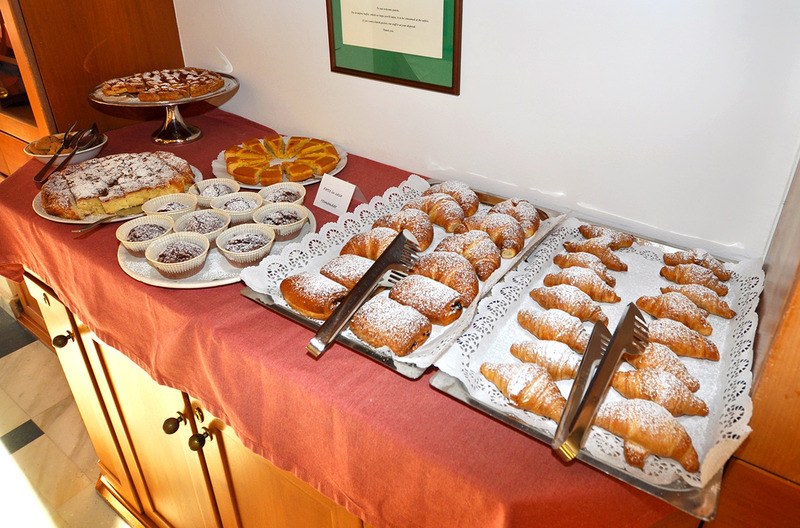 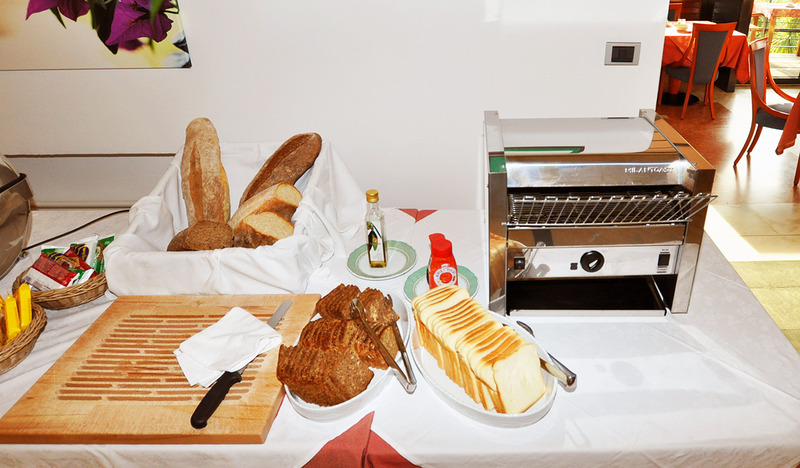 We offer you a buffet with homemade cakes, brioches (also organic), different kinds of bread, toast, boiled eggs, scrambled eggs, bacon and sausages, cereals, yogurt, honey, various jams, canned and fresh fruit, various cheese and Sausages and fruit juices. 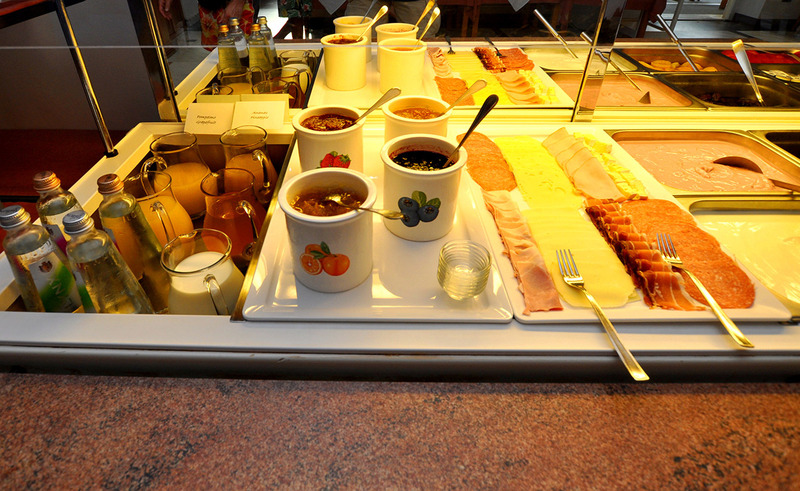 Hot and cold drinks are available for self-service, but they are also served at the table. 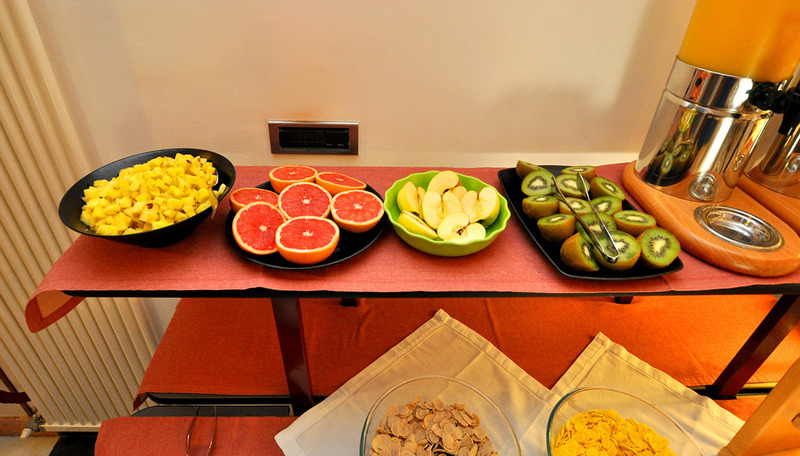 Guests who are suffering from food intolerances or allergies can contact our waitresses at any time with questions and wishes. 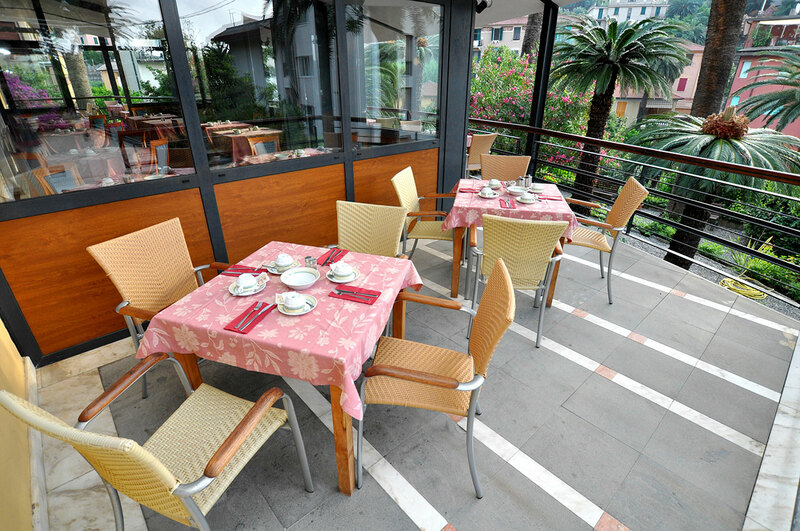 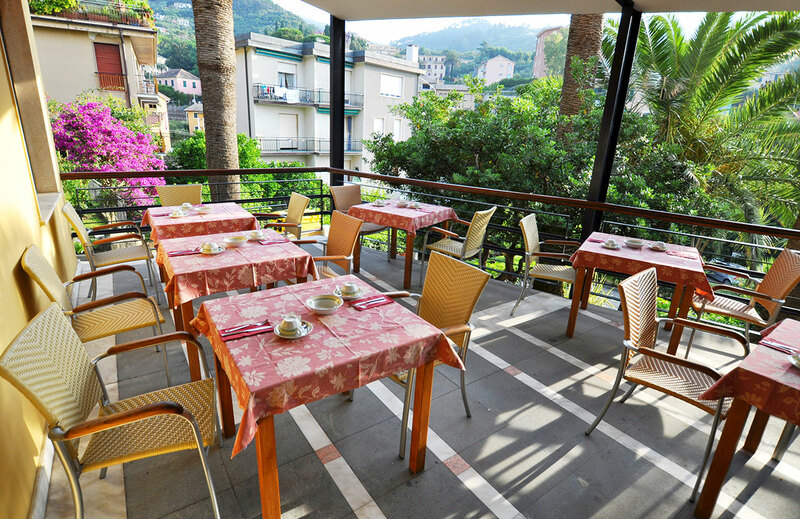 If the weather is nice you can enjoy your breakfast also on the outdoor terrace. 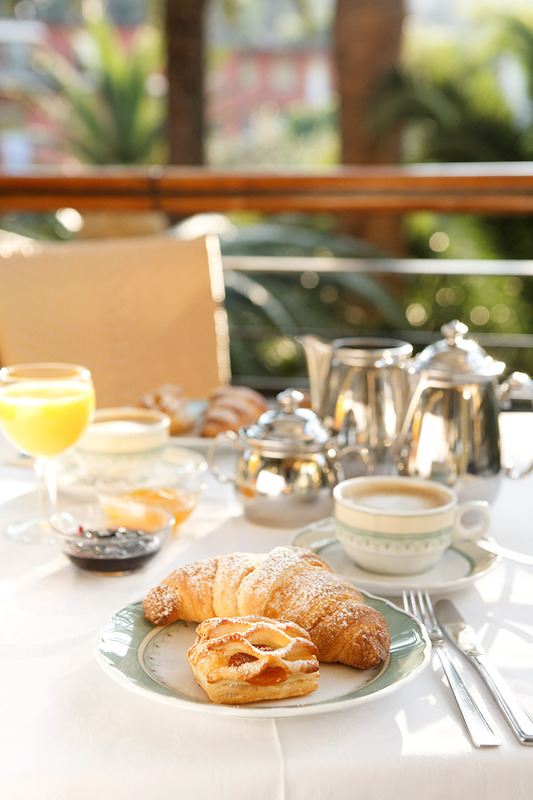 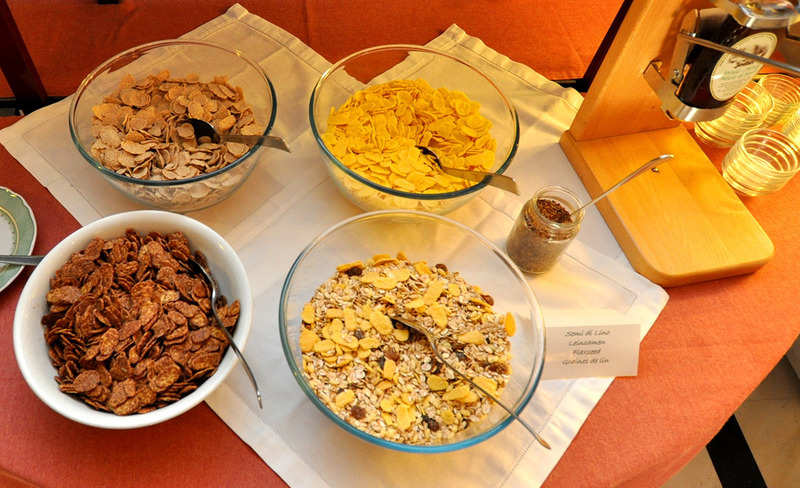 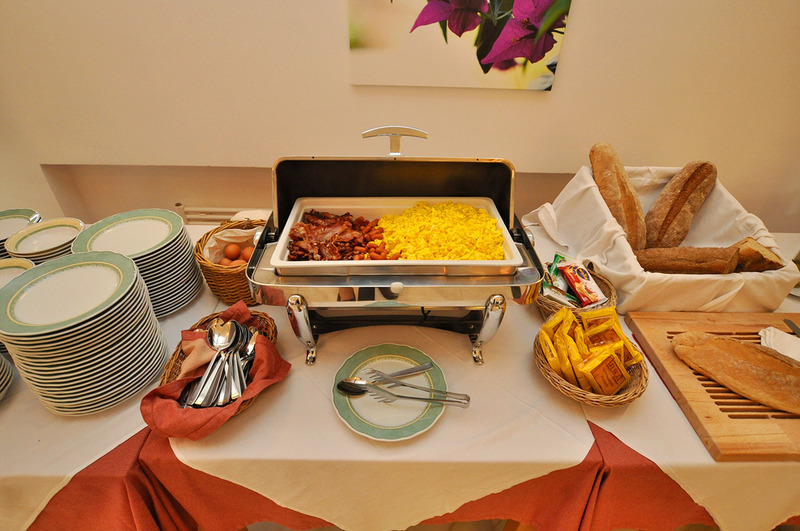 The breakfast buffet is available to our guests from 7.30 am until 10 am.